There are currently 115,385 users on this website. Not had much money to spend the last couple of months so I've been picking up some of the cheaper to obtain rulers...Here's my latest...Really liked the portrait..
Are there any design/style differences between Trier and Cologne mints? That is a sweet portrait--so much remaining detail in the hair on his head and face. Yep, nice portrait - and toning. Well done, Paul. I agree excellent portrait and toning. 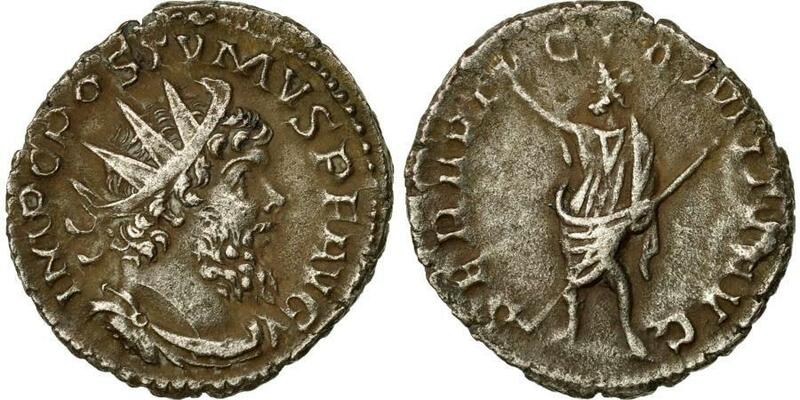 I love a good Postumus antoninianus, and that is one sharp portrait! Love the two-tone patina!